Having shown 1000's of homes, it is still very interesting and often amusing to see what features are most important to him versus her. Take any two people and they will have very strong opinions about what is a "must have" in their next home. For fun, I made this little graphic distiguishing the difference of important features. Seriously though, deciding up front what you "must have" and what you can do without in your next home will make house hunting a bit easier. So true! I am a real estate agent in Orlando and buyers are exactly the same here! That is really funny. I'm in the property industry in Australia and the same occurs. This is great! 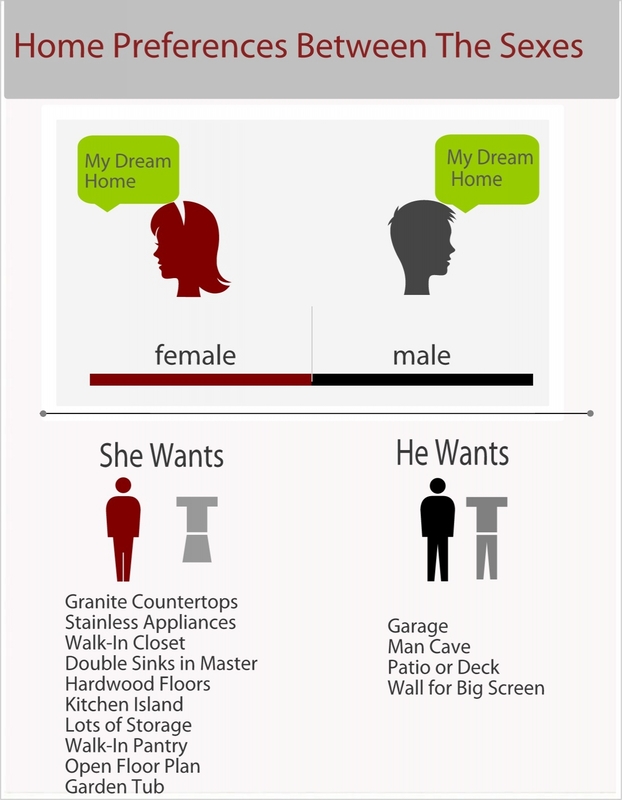 Funny thing is......a lot of men will appreciate (after they move in) the features the wife wants! They just don't think of them at the time!